Bomb threats, dangerous weather, and power outages all require facility managers to alert building occupants to a specific danger and advise them how to respond. Because danger comes in many forms, more facilities today have some form of mass notification system providing real-time information and instructions to occupants. But a one-size-fits-all approach isn’t useful. Decisions should be made based on the requirements of the specific facility, as well as a knowledge of the ways a system can be used, its various components and forms, the limitations of various systems, and the importance of using a risk analysis in planning a system. Generally, multiple communications methods are used, including intelligible voice communications, visible signals, and text and graphics over various media. There is no shortage of scenarios where a mass notification system would be an important tool for safeguarding people. "Maybe there’s a chemical spill on the south side of the building requiring occupant evacuation," says Sean Ahrens, security consulting leader at Aon. "So the mass notification system would direct them to evacuate on the north side." "Or maybe, the mass notification system is on a corporate campus. There’s an aggressor in building two at lunchtime. Employees out eating lunch can be text messaged to move away from that building and not to re-enter it," says Ahrens. Homeland Security uses mass notification systems to report terrorist threats, bioterrorism, and cyber terrorism, according to Carlos Petty, principal, Syska Hennessy Group. Public health agencies use mass notification systems to report health threats such as West Nile Virus and SARS outbreaks. "A mass notification system also is used to report power outages, major system losses, and inclement weather such as hurricanes, blizzards, tornadoes, flooding, and earthquakes," observes Petty. "Several corporations have deployed systems to notify staff of office closures and for accountability during a national disaster event," notes Andrew Woodward, associate fire protection engineer at Arup. Various forms of mass notification systems are being applied across many facilities. "Cellular phones now have the ability to receive text messages and severe weather alerts based on geographic region," Woodward says. "Many government organizations offer smart phone applications, emails, text, and reverse 911 messages to inform individuals in an emergency." All of these are forms of mass notification. 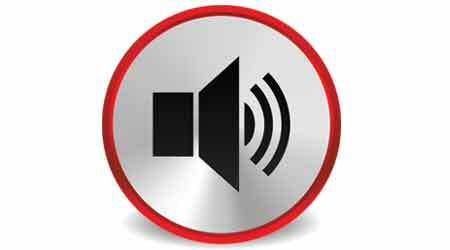 Ahrens adds that mass notification systems may also use audio/visual components, as well as cell phone, time clocks, and signage. Websites and telephone trees may also be used. With mass notification systems, one size does not fit all emergency conditions. Instead, systems can be designed under NFPA 72 to meet the needs identified in the risk analysis. "Mass notification systems can be designed solely using an analog audio solution, a combined standalone digital and analog audio solution, or as a network solution, using multiple audio commands in conjunction with a distributed audio network," says Petty. A comprehensive mass notification system may also include voice-over-Internet protocol (VoIP), e-mail messaging, and paging. Woodward says the majority of Arup’s university clients are installing a voice fire alarm system, even if the current local building code does not require it. When a new fire alarm system is being designed on a university campus, he recommends requiring the contractor to provide a standard interface to allow a mass notification system to be connected in the future without costly programming and testing associated with the modifications. Although it may include notifying occupants how to respond during fires, a mass notification system often is used for non-fire emergencies.